are making tremendous strides. we had a great meeting today. 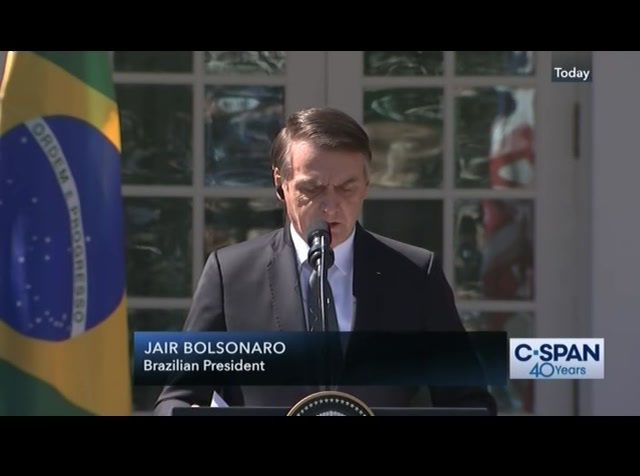 bolsonaro, isident also intend to designate brazil as a major non-nato ally or even possibly, if you start thinking about it, maybe a nato ally. 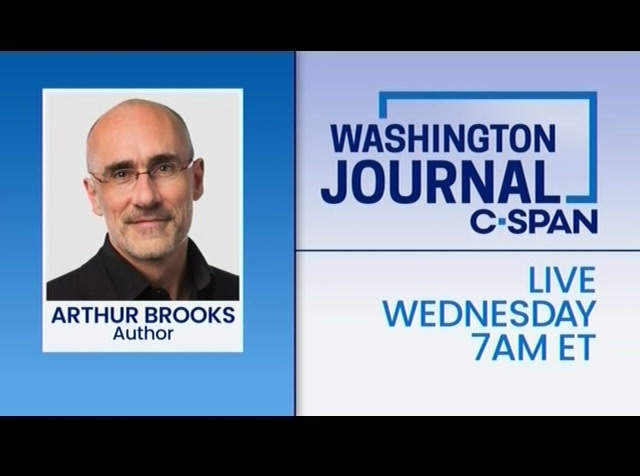 have to talk to a lot of people, but maybe a nato ally, which would greatly advance security and cooperation between our two countries. our nations are already working together to protect our people from terrorism, transnational crime, and drugs and weapons trafficking. also, human trafficking, which is really become something that has come to the forefront of crime. a horrible, horrible situation. we look forward to an even deeper partnership and working together. in our meetings, we also discussed the strong economic ties between our nations, grounded in the principles of fairness and reciprocity, my favorite word, reciprocity. this is not anti-american. 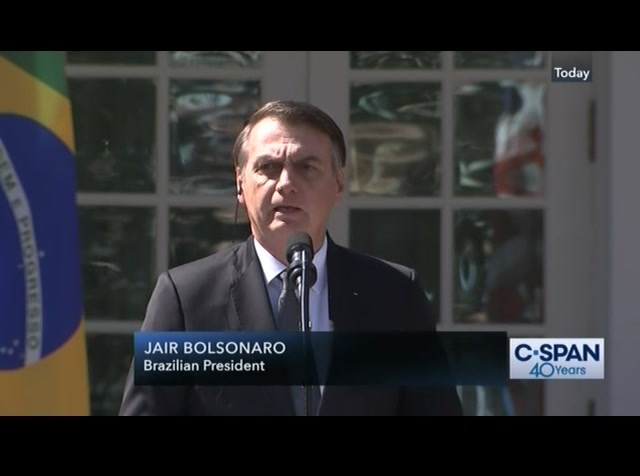 the reforms that we have been taken -- taking has changed brazil. also, this is totally changing the business environment. 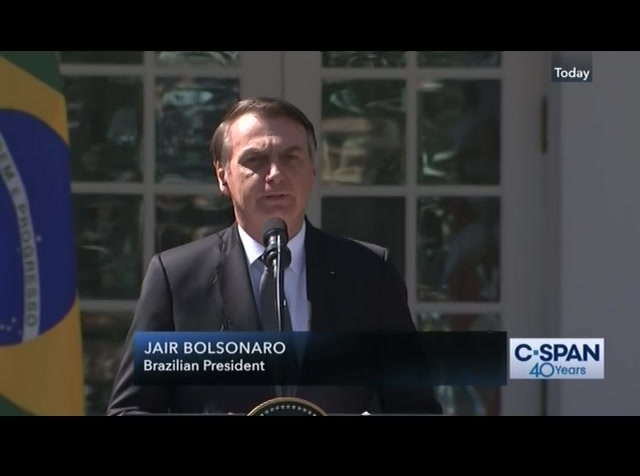 will beport to brazil construed as a gesture of mutual understanding, which will be very emblematic as part of the close, close ties we aspire to. 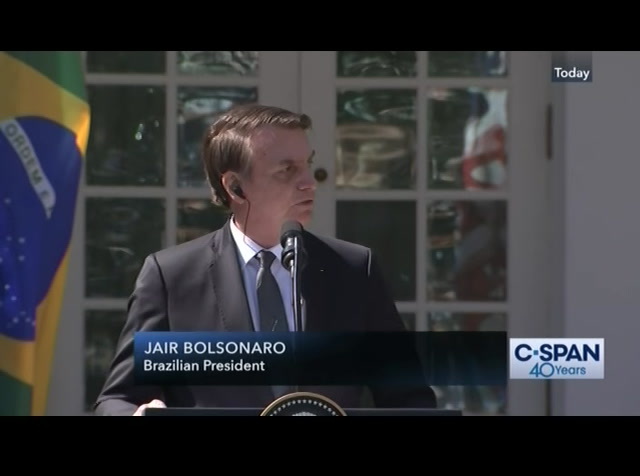 the private sectors of both countries should remain high-profile players in our relations, and that is why we have decided to restore the ceo forum between brazil and the u.s. we also want to have a priority for a forum on energy. 2017, and brazil has just started to change. we stand together side-by-side to the oldman's benefit of our two nations. 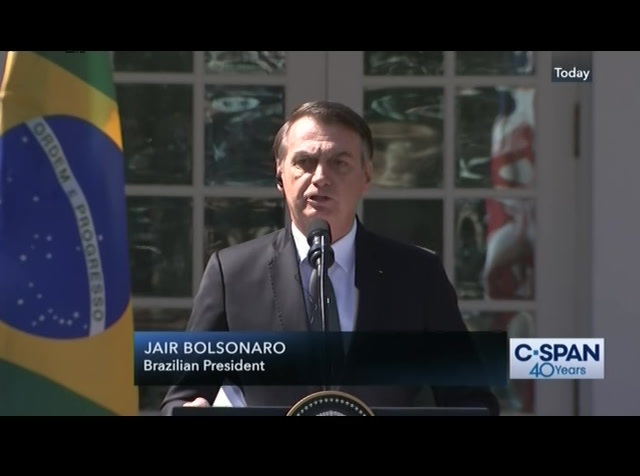 we want to have a great america, yes, and we also want to have a great brazil. 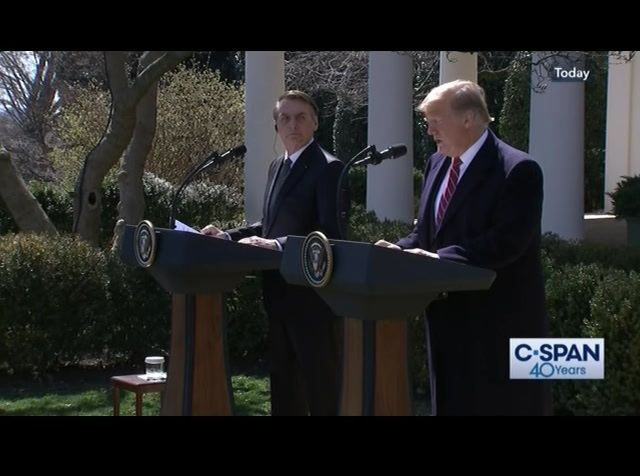 once again, recognition to donald trump on a day where we two,promise between the the largest democracies in the western hemispheres. 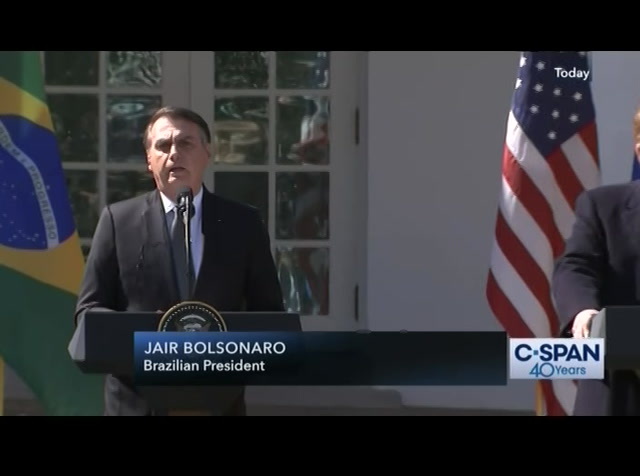 god bless brazil, and god bless the united states of america. thank you. 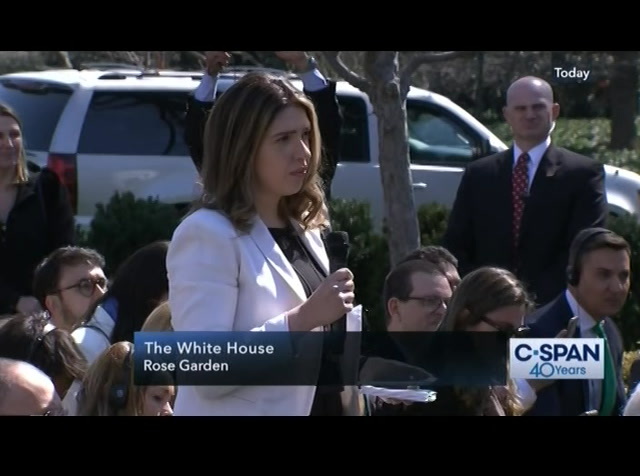 [applause] [applause] pres. 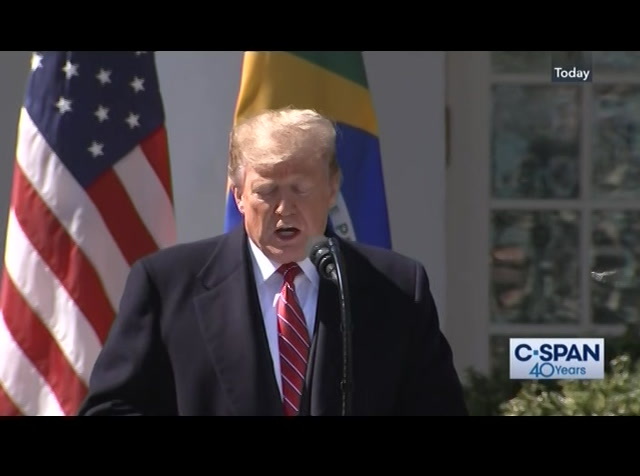 trump: i will take a couple of questions. roberta, please. >> thank you very much. on venezuela, you did the tough sanctions and sent the aid, but it seems like maduro is no closer to leaving. i am wondering if you are getting worried about losing momentum and how long are you being told is this going to take? pres. 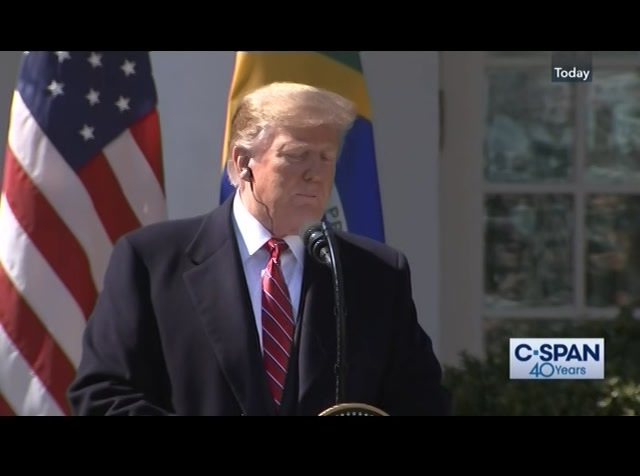 trump: i am not being told any specific time. they have been there a long time. at some point, i would imagine things will change. 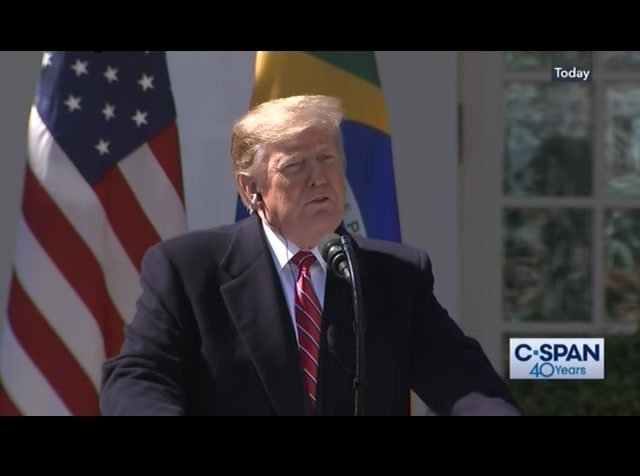 we have not done the tough sanctions yet, and we can. all options are open. 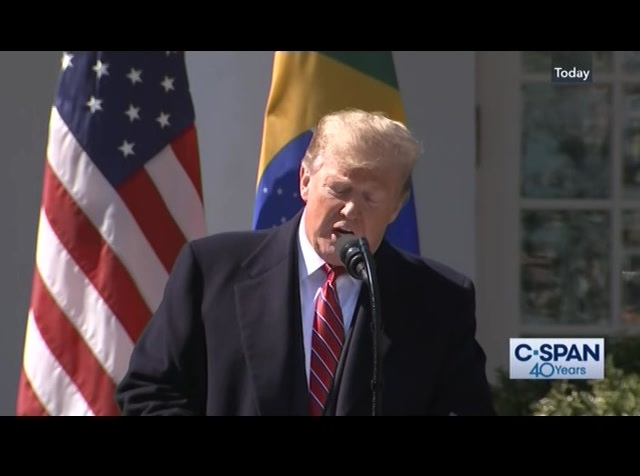 we have not done the toughest of sanctions. we have done right down the middle, but we can go a lot tougher if we need to do that. it is a very sad thing. we are not looking for anything other than taking care of a lot of people starving and dying in the streets. this was one of the wealthiest countries in the world, and all of a sudden it is stricken, poverty-stricken, no food, no water, no air, no anything. no power for a long time last week. that will break down again because it is held together by thread. it is very sad to see. 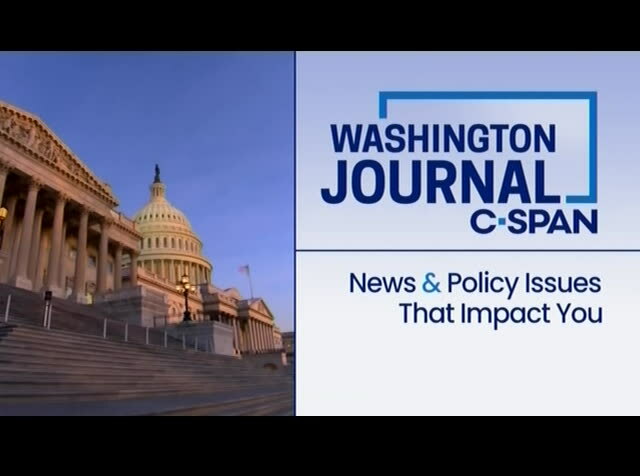 issues, if you speak, they are no longer strategic, therefore the reserved issues which may be discussed, if they have not yet, will not become public, evidently. i remember, when a candidate asked another candidate what he would do to fight the islamic state, he said if i say i will no longer be able to beat it. so it is a matter of strategy. for everything we have discussed here will be honored, certain pieces of information may not be debated publicly. 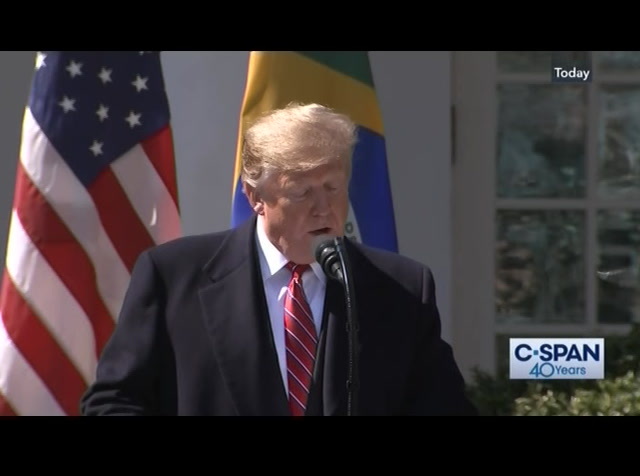 >> president trump, regarding the military intervention, you think about the possibility of fighting venezuela to remove maduro from power? pres. 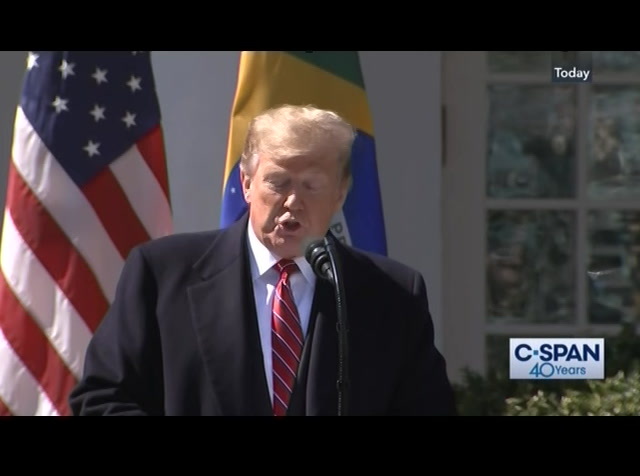 trump: as i said, all options are open. i think of all possibilities. all options are open. we will see what happens. 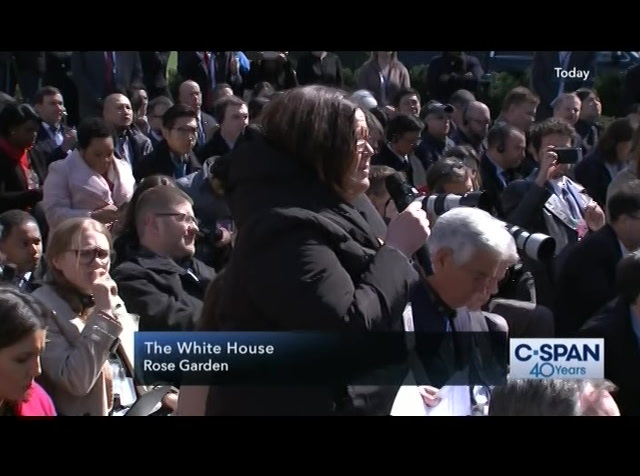 by the way i see in the , audience, the son of the president who has been fantastic. will you please stand up? the job you have done during a tough period of time is fantastic. your father appreciates it. i can tell you. fantastic job. from the daily caller. >> thank you. two questions. 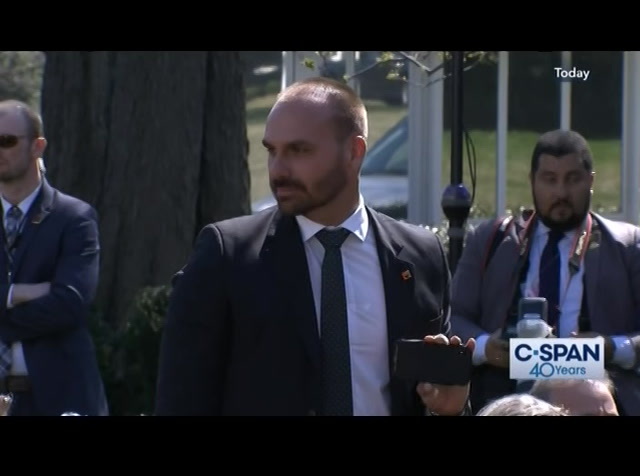 first on the 2020 election. there are a growing number of democratic candidates who have endorsed the idea of adding seats to the supreme court. is that something that you would entertain? pres. trump: i would not entertain it. the only reason is that they want to try and catch up. if they cannot catch up through the ballot box by winning an , then they want to try to do it in a different way. we would have no interest in that. it will not happen for six years. >> another question on social media. you tweeted in support of congressman nunez's suit against twitter. this is part of a larger discussion about making social media companies liable for the content on their platform which they are not currently. really shows -- the people are smart and will get it. they go through all of that whatever it is, and in the end they pull the right lever. it is a very dangerous situation. i think i agree, i think that something has to be looked at closely. >> another question on the 2020 election. a number of the democrats were ho are running to replace the president have considered socialist ideas. you have spoken critically of that. if a candidate who embraced socialism would win, how would it affect your relationship with the united states? pres. 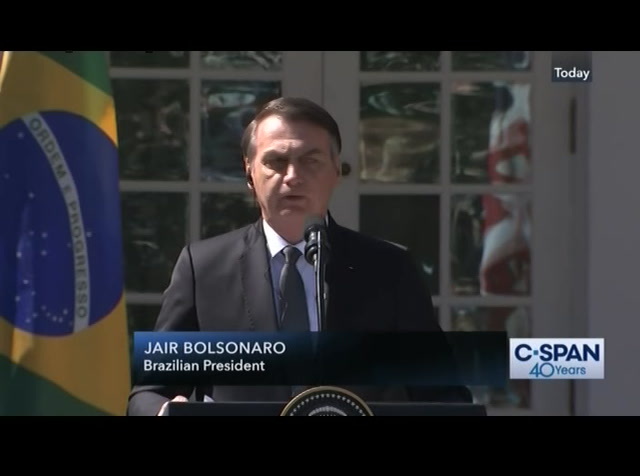 bolsonaro: it is an internal affair, we will respect with the ballots tell us, but i do believe that donald trump will be reelected fully. yeah this was the same with what , happened to me. much. i appreciate it. thank you very much. 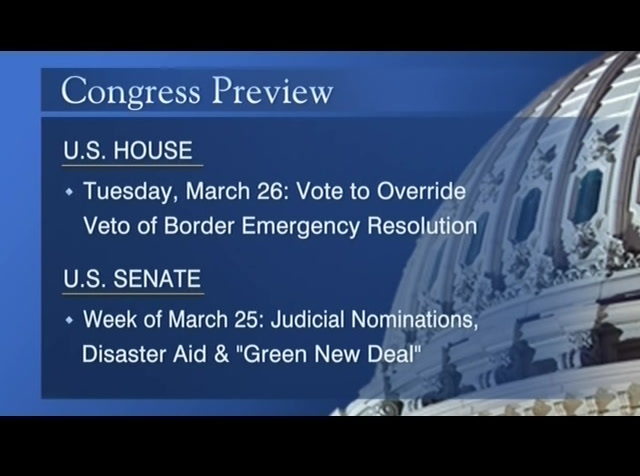 [applause] >> another round of talks next week? 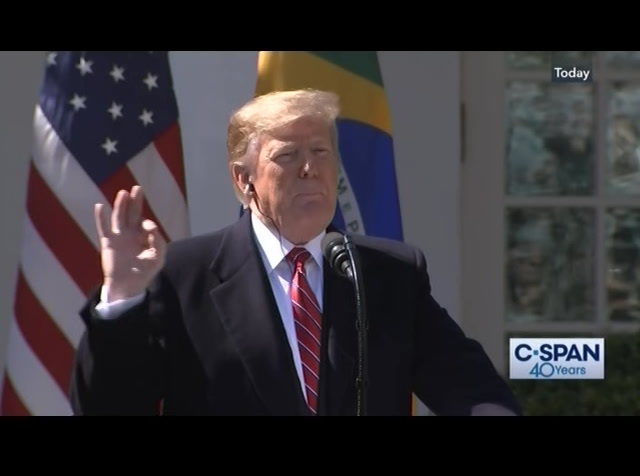 >> any expectations on the robert mueller report, sir? 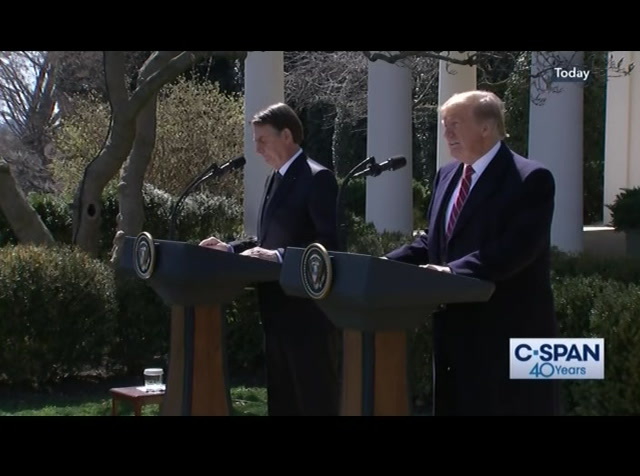 [captioning performed by the national captioning institute, which is responsible for its caption content and accuracy. 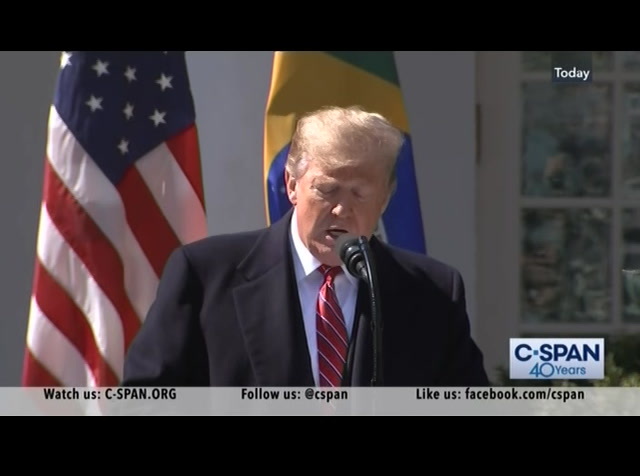 visit ncicap.org] announcer: if you missed any of that news conference, we will show it again in primetime. out how interested americans are in civic affairs. 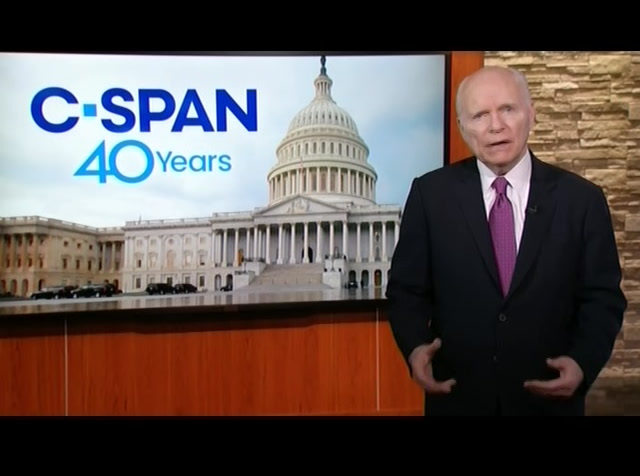 secondly, i need to take the congress, because 40 years ago the congress opened up the house of representatives to televisions and because of that we were able to put together an evolving concept called c-span. third and probably most important, because it would not be here without private industry in the name of the cable television business, and executives who are creating cable television systems back in the years we started, saying it is time to do something other than movies and sports. that is houses been was created. there is no federal money in these networks that we have and there never will be. the idea is private industry was created in public affairs network for the people who are subscribers to their systems. 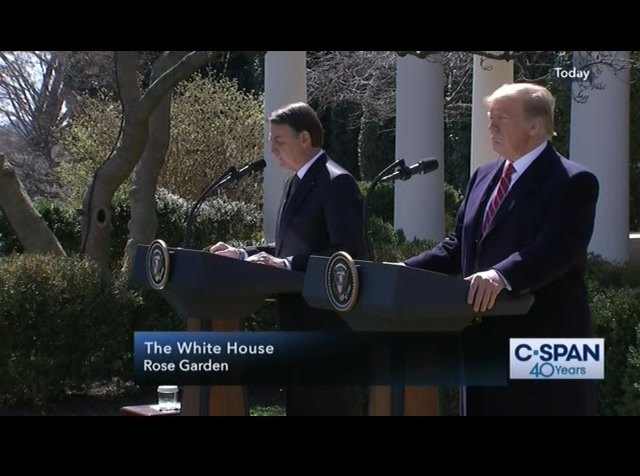 President Trump and Brazilian President Jair Bolsonaro held a joint news conference in the White House Rose Garden. 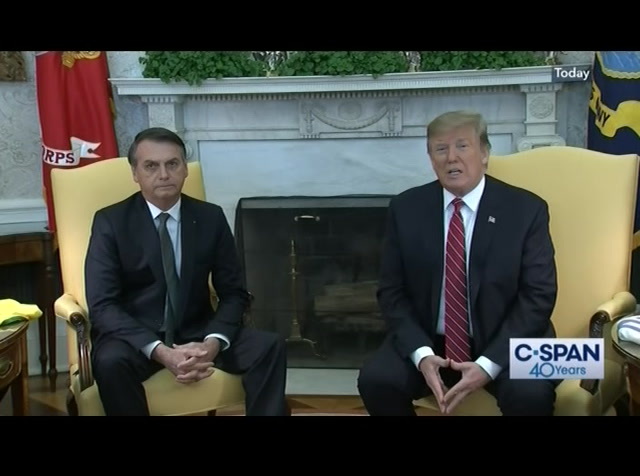 The two leaders discussed the political situation in Venezuela, the possibility of Brazil being given NATO privileges, and proposed plans for the U.S. to conduct space launches from of Brazil. President Trump also responded to a question on the 2020 elections and how some Democratic candidates were promoting the idea of expanding the Supreme Court. The president told reporters, "It won't happen. I guarantee you, it won't happen for six years."